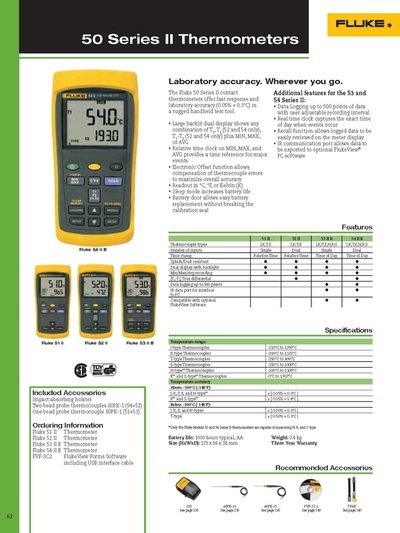 Fluke Corporation is the world leader in the manufacture, distribution and service of electronic test tools and software.Since its founding in 1948, Fluke has helped define and grow a unique technology market, providing testing and troubleshooting capabilities that have grown to mission critical status in manufacturing and service industries. Every new manufacturing plant, office, hospital, or facility built today represents another potential customer for Fluke products. 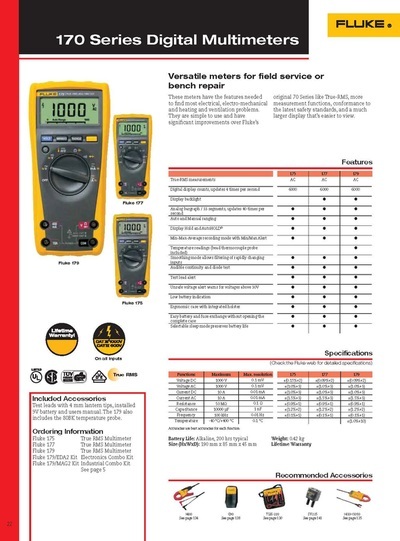 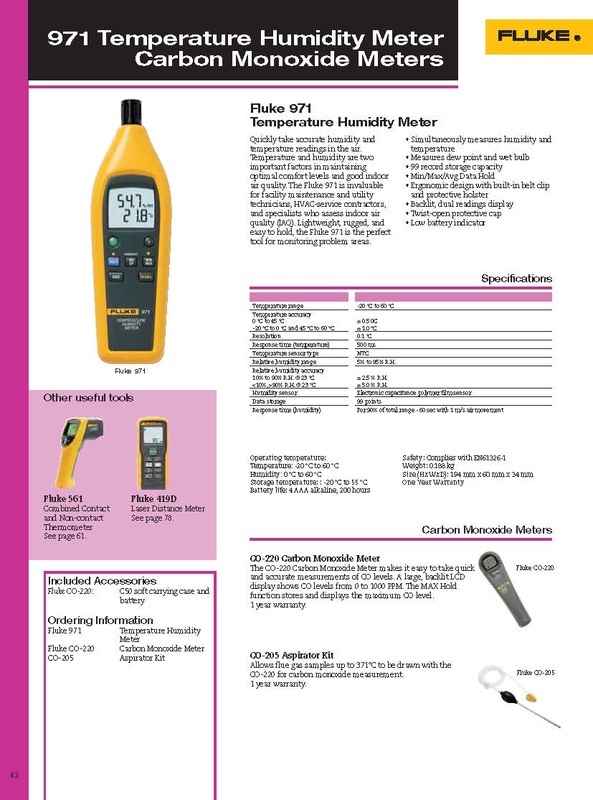 Fluke’s digital multimeters also known as volt/ohm meters or VOMs combine several electronic measurement functions in one unit. Safety, quality and performance: three words that sum up the benefi ts of our extensive range of digital multimeters. 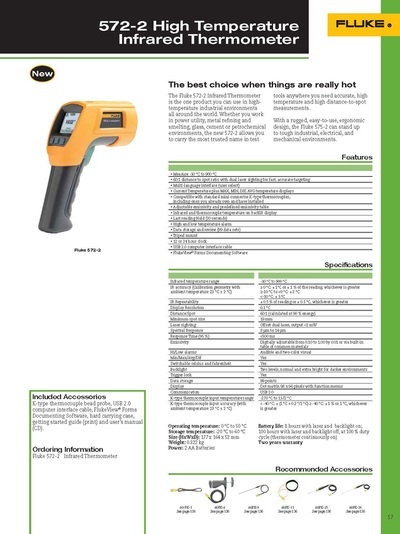 Designed to help you do your job faster, more effi ciently and with greater accuracy, there is a model for every budget and application. 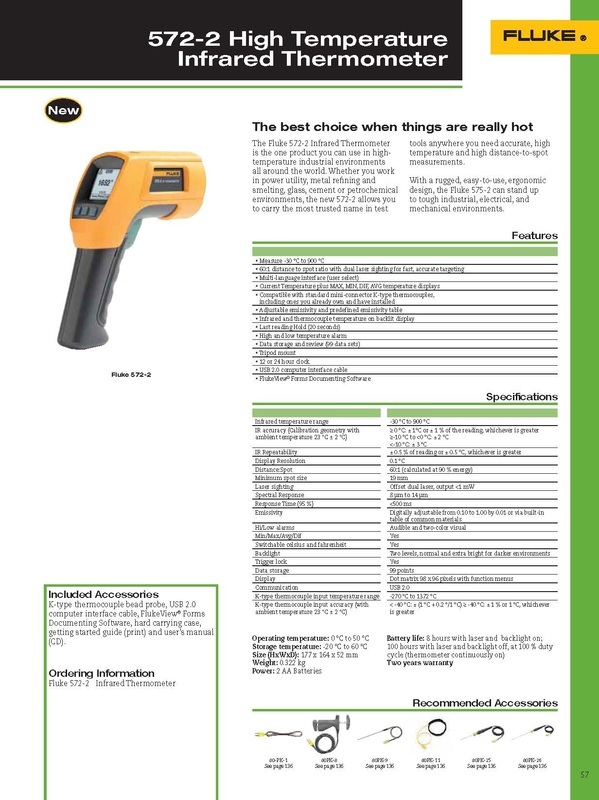 Choose from handheld troubleshooters to ultra smart instruments packed with features, including the ability to log and graph data, as well as high-precision bench units. 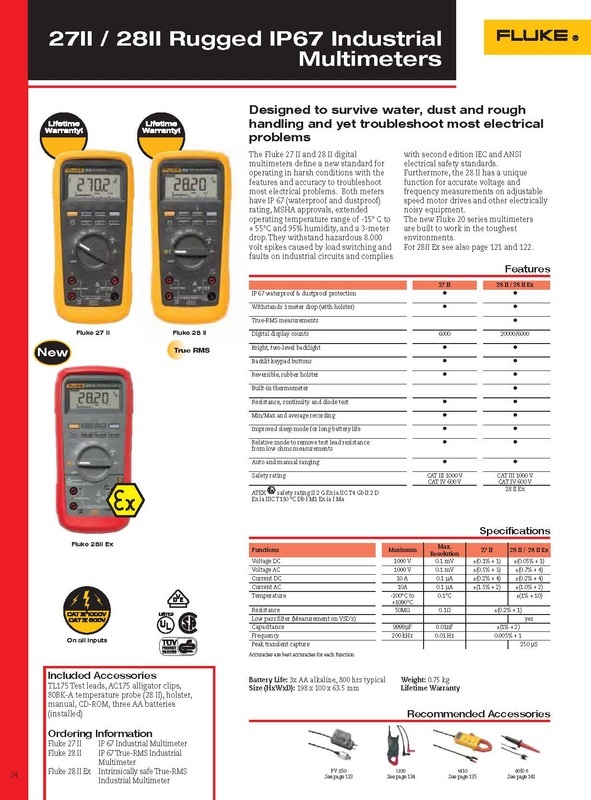 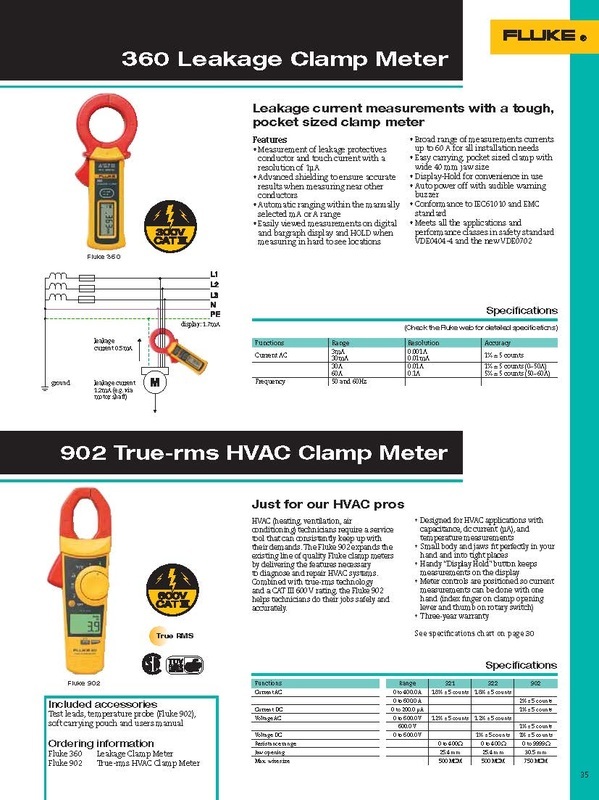 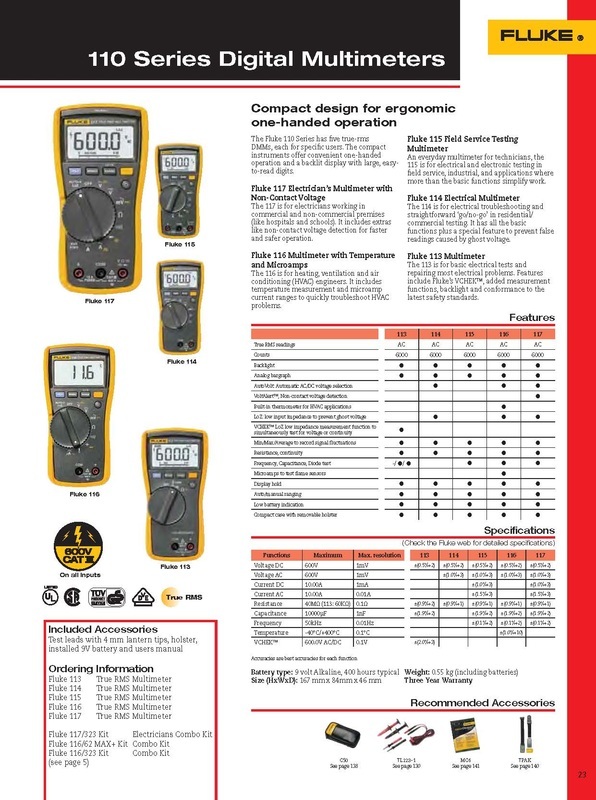 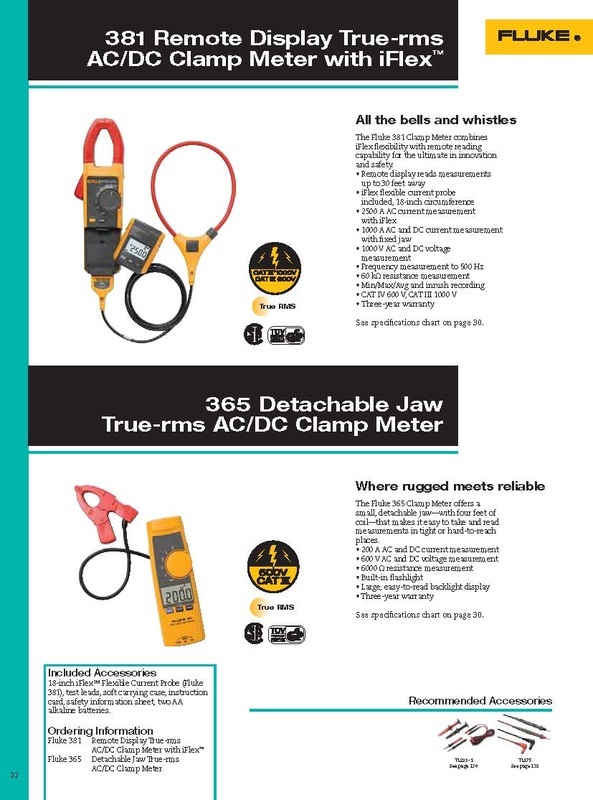 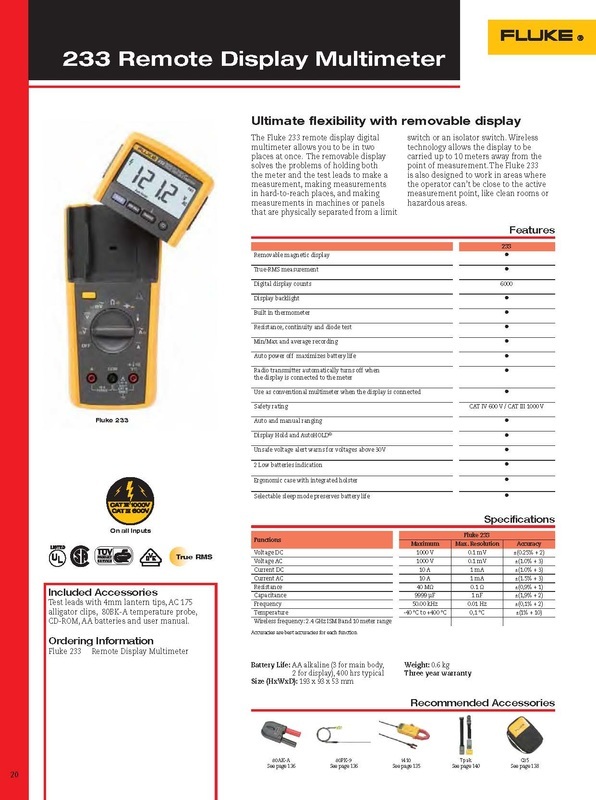 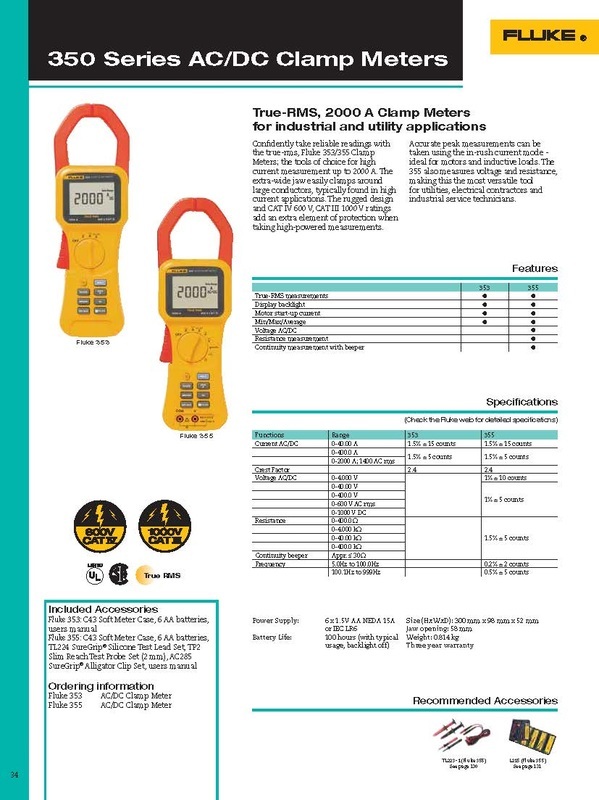 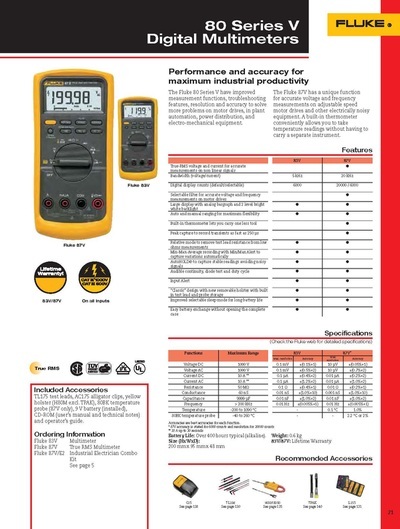 Fluke the world’s most trusted name for clamp meters. 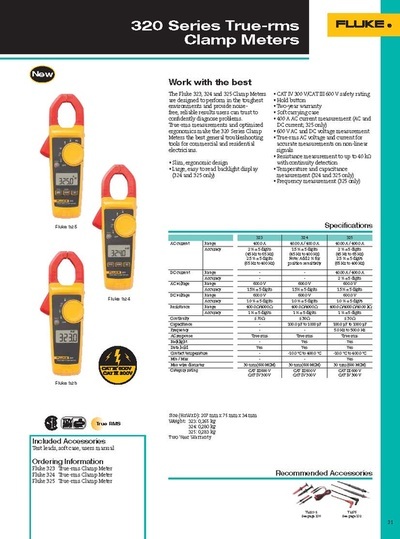 The extensive Fluke range includes models that feature wide opening jaws for safe, fast non-contact current measurement. 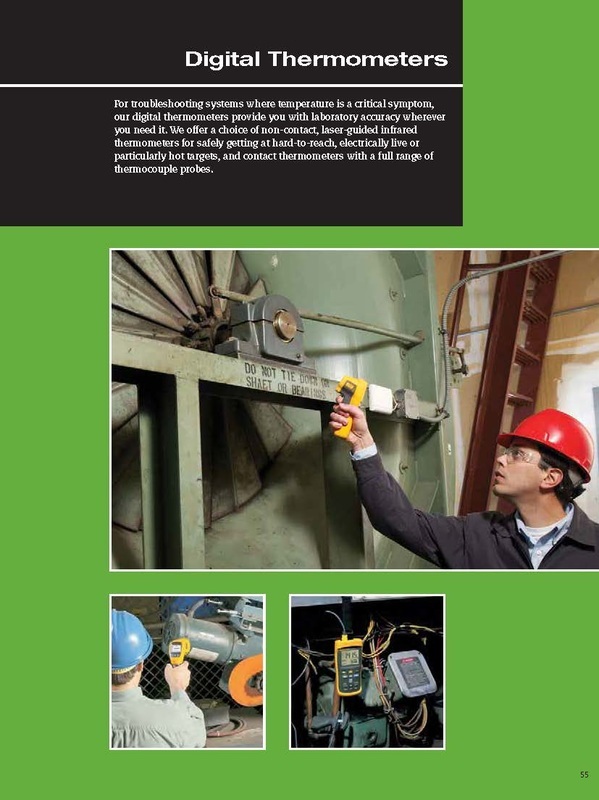 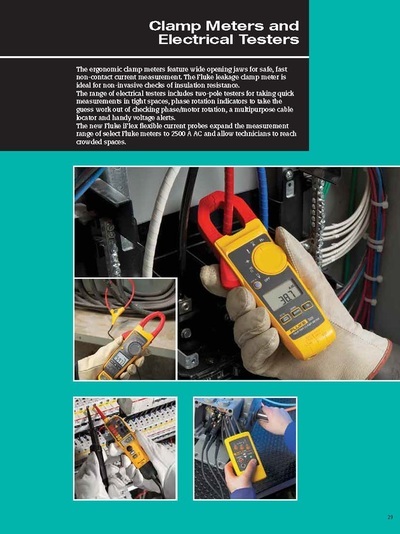 The ergonomic design of Fluke clamp meters are ideal for measuring current in even the most confined of spaces. The ergonomic clamp meters feature wide opening jaws for safe, fast non-contact current measurement. The Fluke leakage clamp meter is ideal for non-invasive checks of insulation resistance. 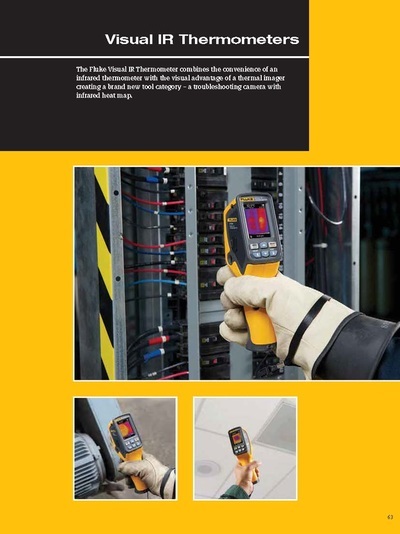 The range of electrical testers includes two-pole testers for taking quick measurements in tight spaces, phase rotation indicators to take the guess work out of checking phase/motor rotation, a multipurpose cable locator and handy voltage alerts. 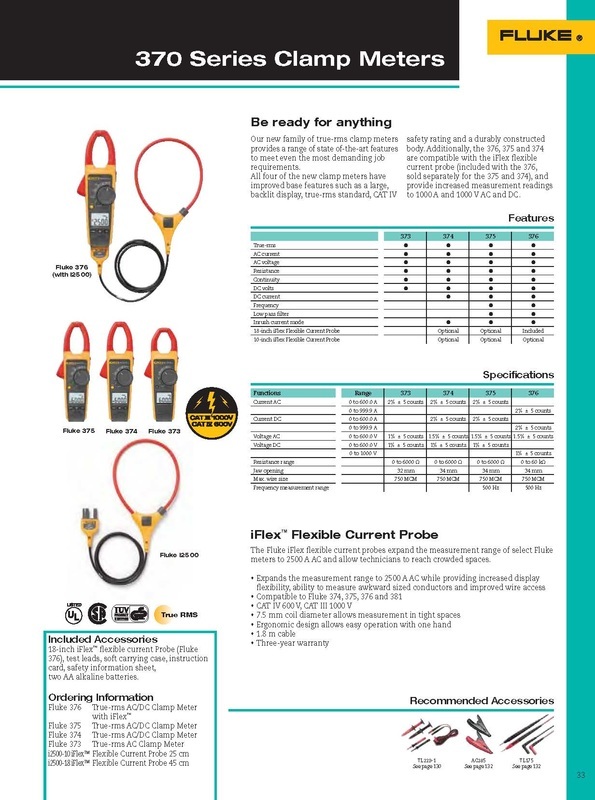 The new Fluke iFlex fl exible current probes expand the measurement range of select Fluke meters to 2500 A AC and allow technicians to reach crowded spaces. 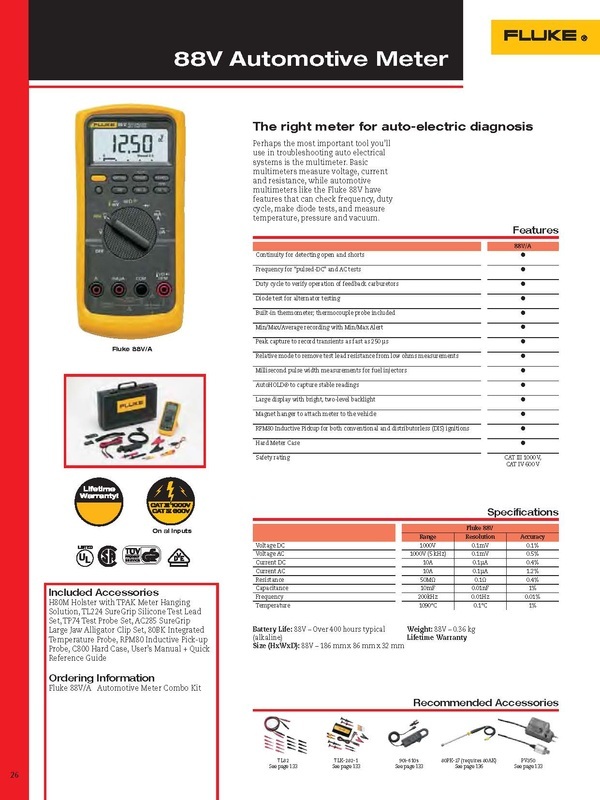 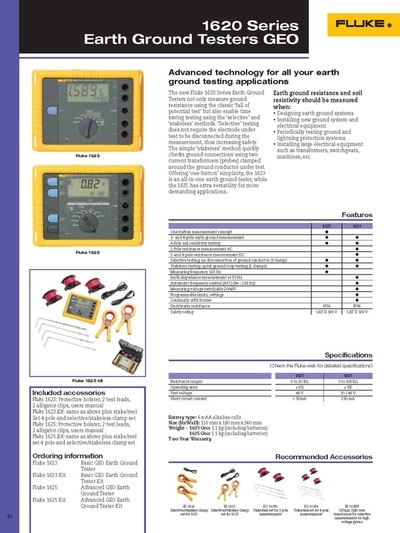 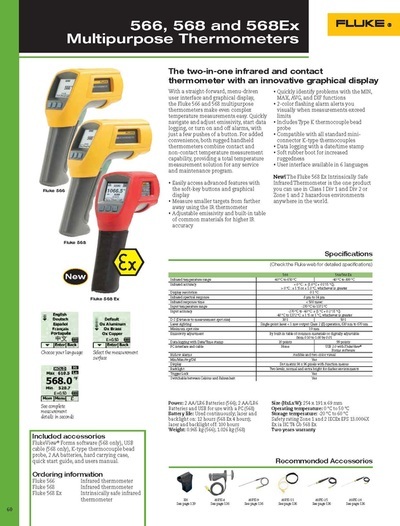 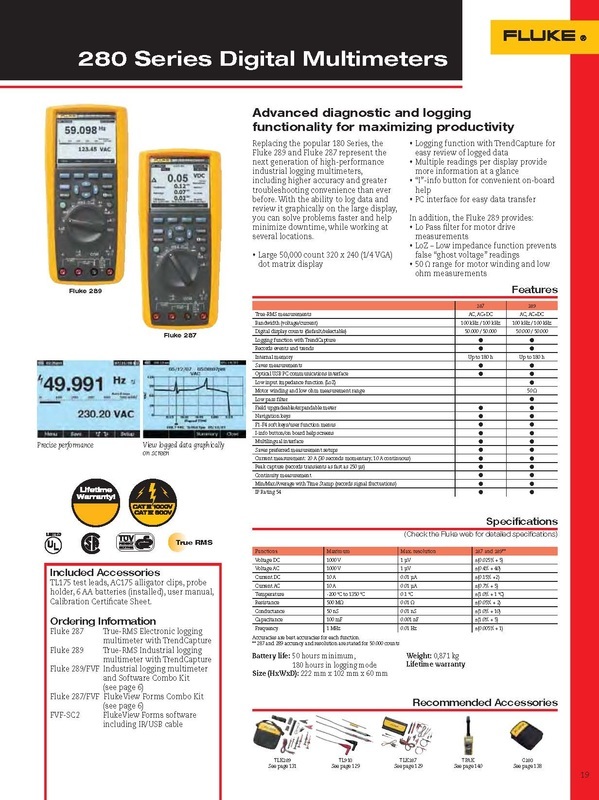 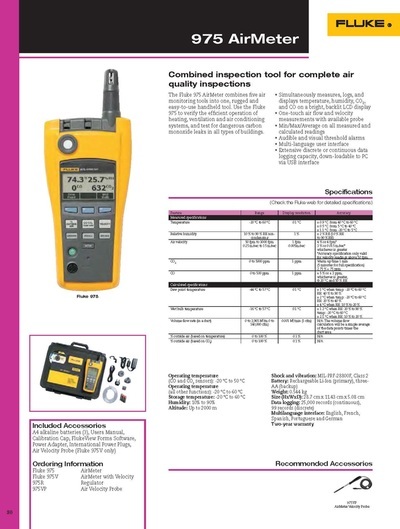 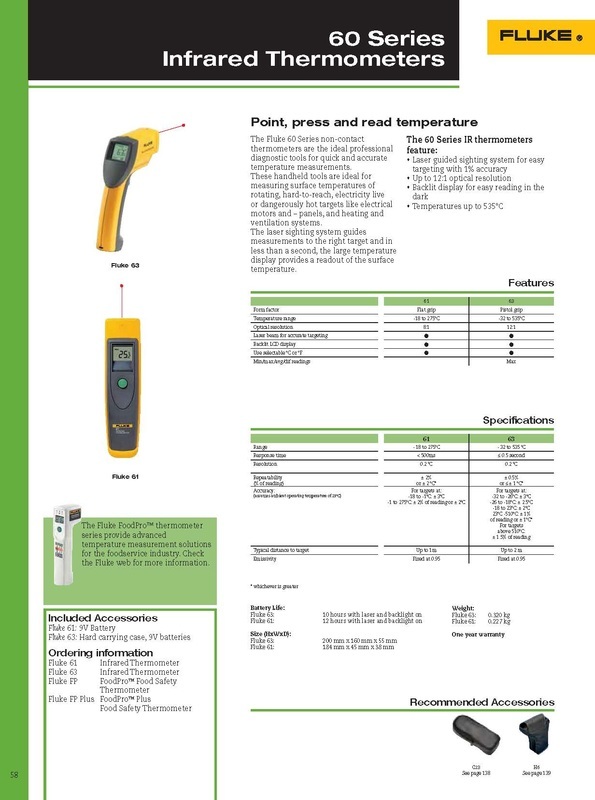 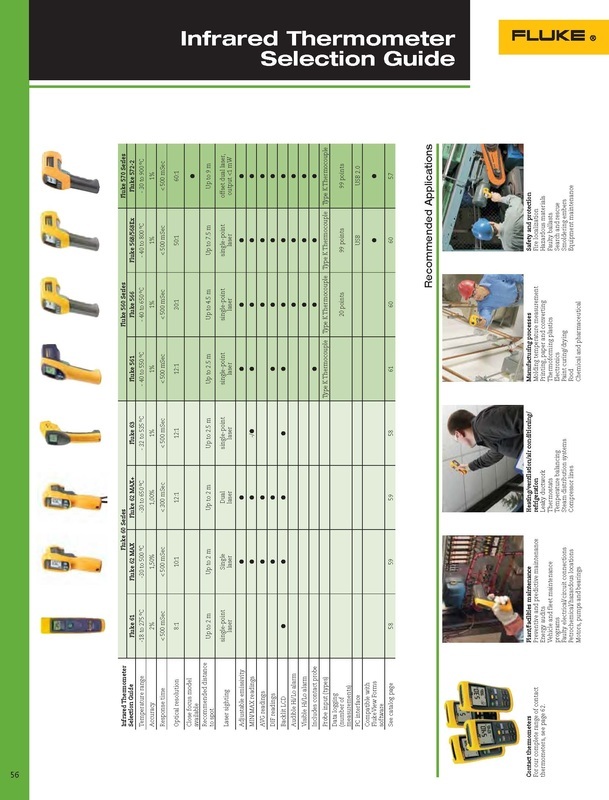 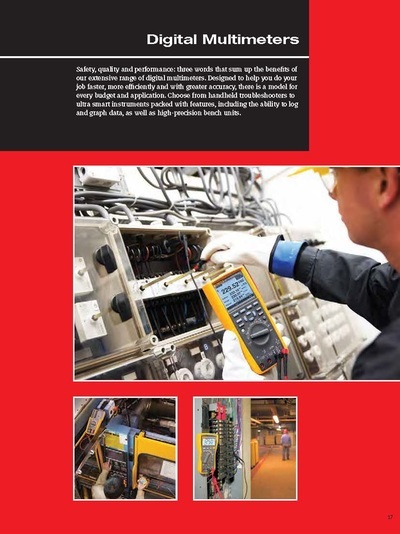 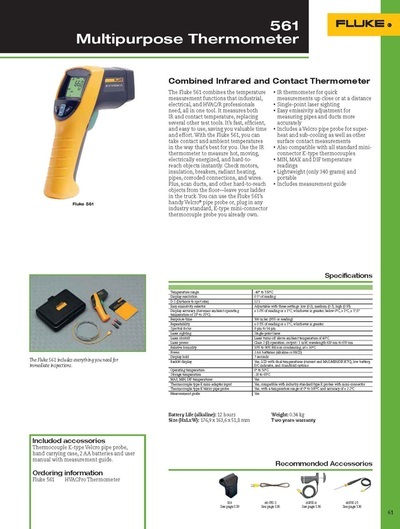 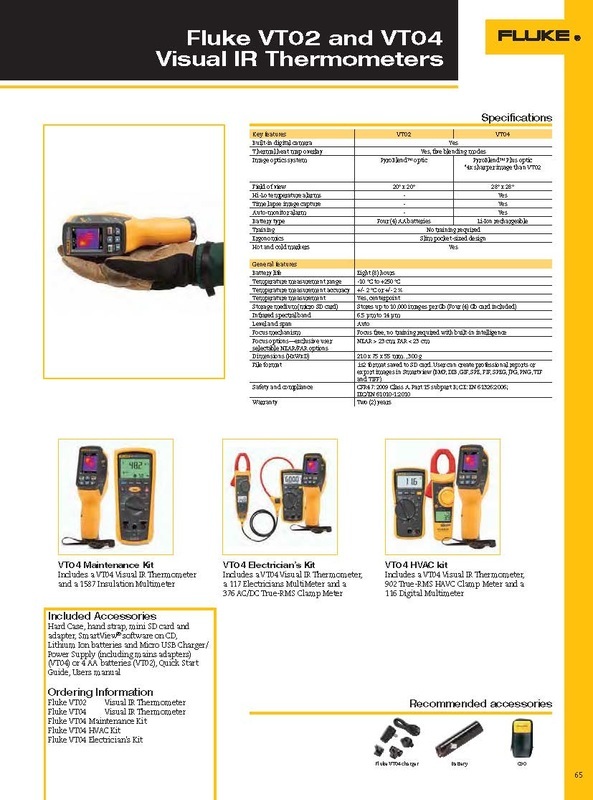 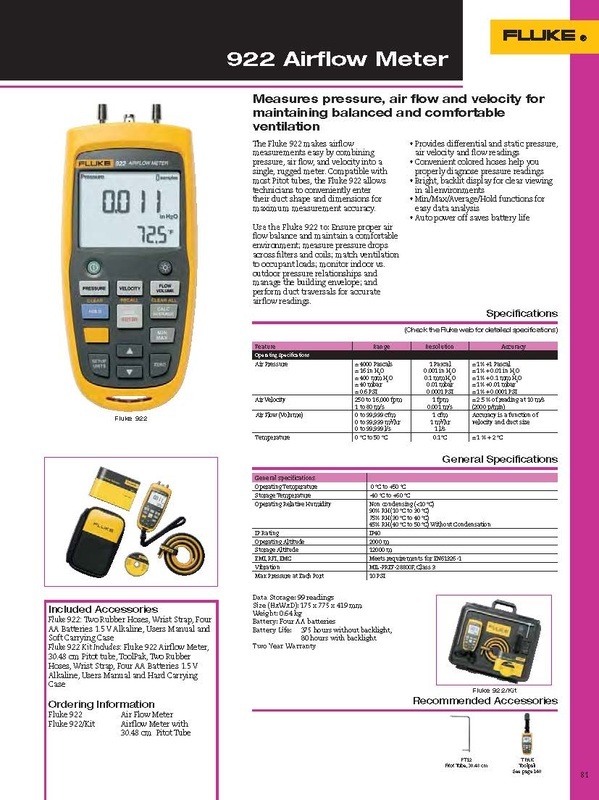 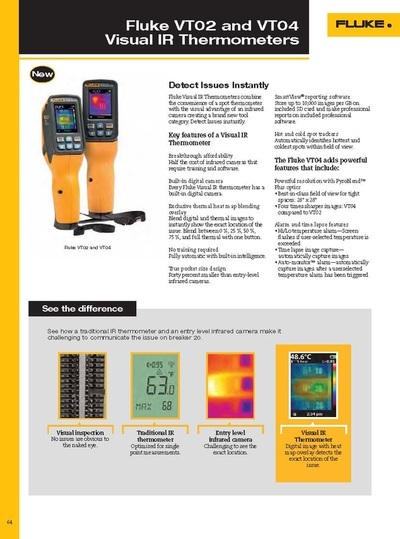 Fluke Corporation offers a full range of electrical test tools for every application. 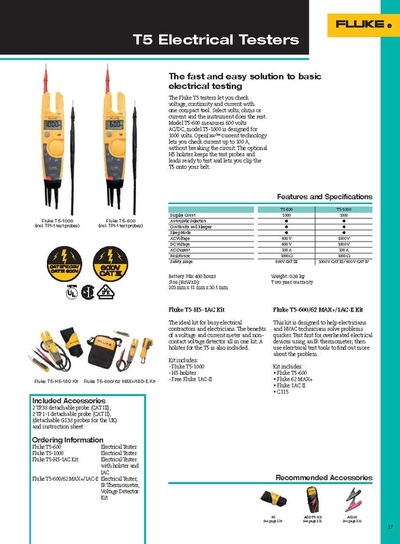 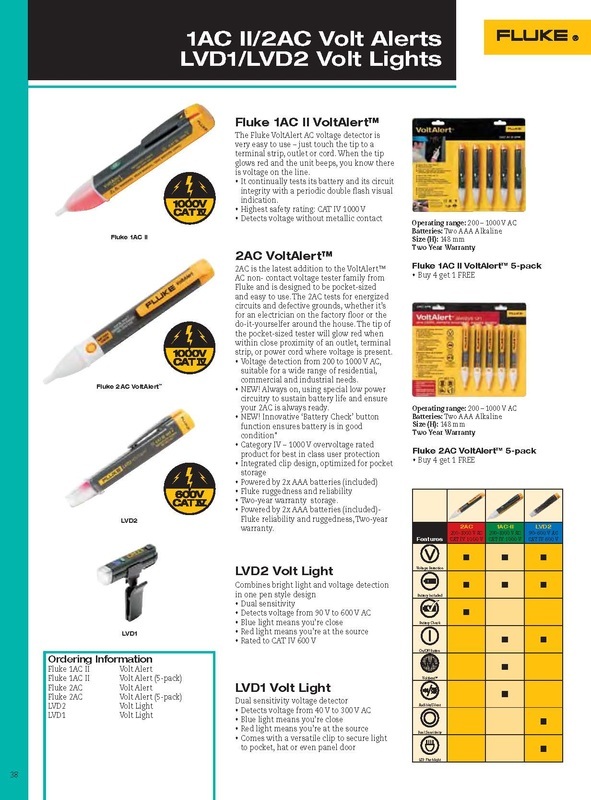 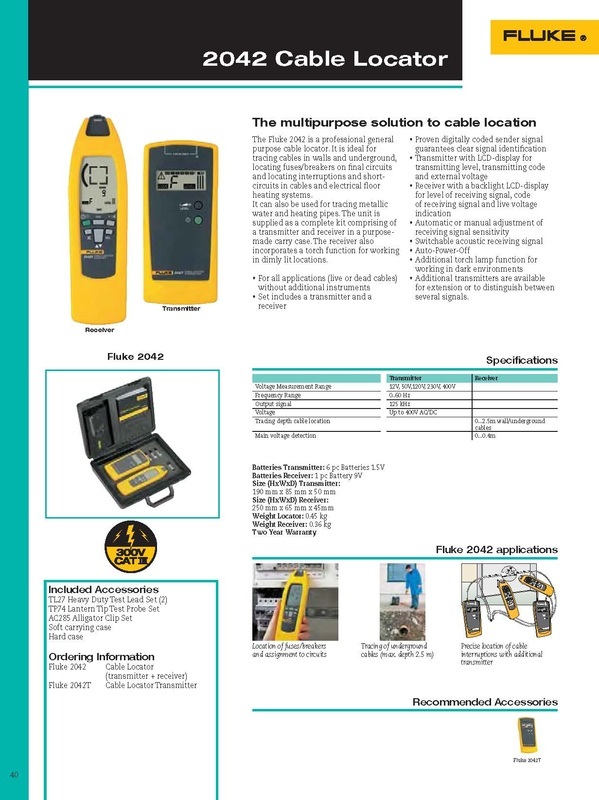 Additionally, Fluke offers a wide selection of probes, accessories, application, and product expertise for issues you face every day. 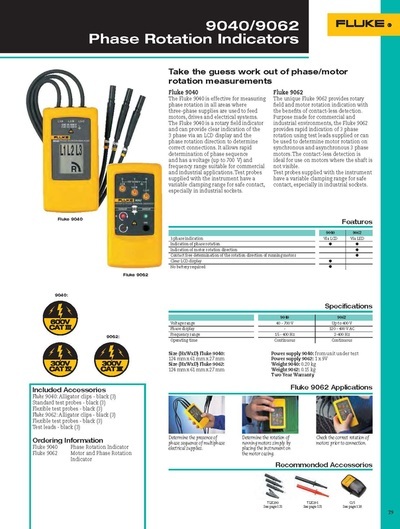 The Fluke T5 testers let you check voltage, continuity and current with one compact tool. 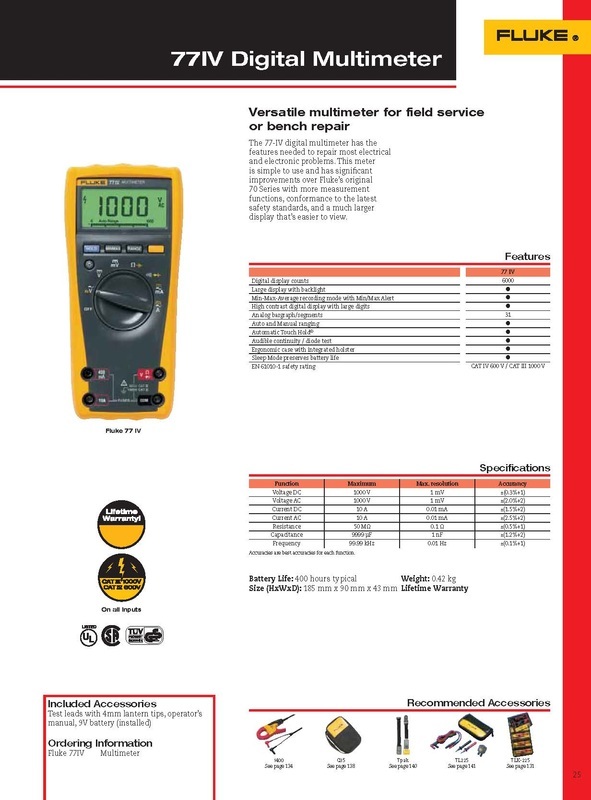 Select volts, ohms or current and the instrument does the rest. 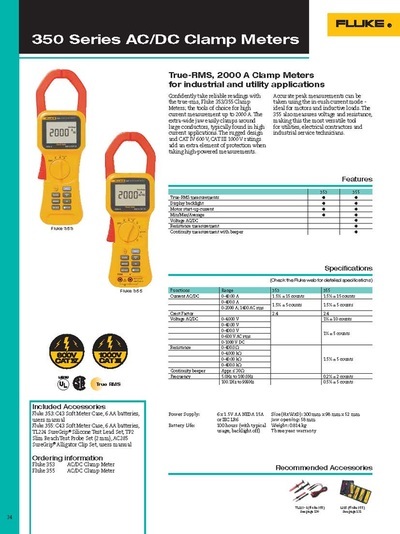 Model T5-600 measures 600 volts AC/DC, model T5-1000 is designed for 1000 volts. OpenJaw™ current technology lets you check current up to 100 A, without breaking the circuit. 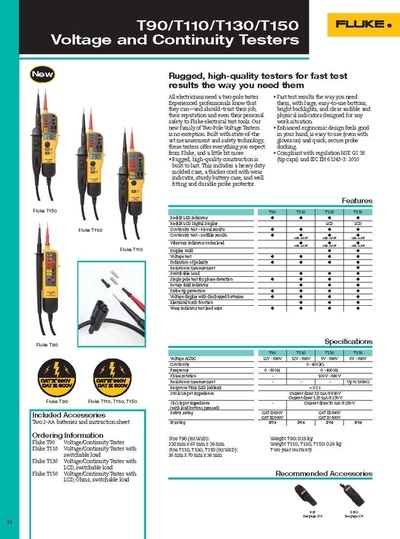 The optional H5 holster keeps the test probes and leads ready to test and lets you clip the T5 onto your belt. 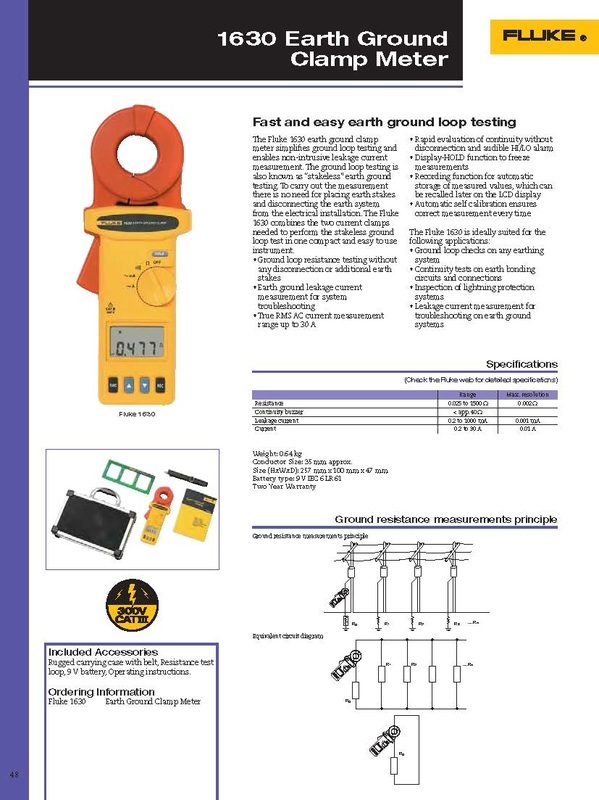 Most facilities have grounded electrical systems, so that in the event of a lightning strike or utility overvoltage, current will find a safe path to earth. A ground electrode provides the contact between the electrical system and the earth. 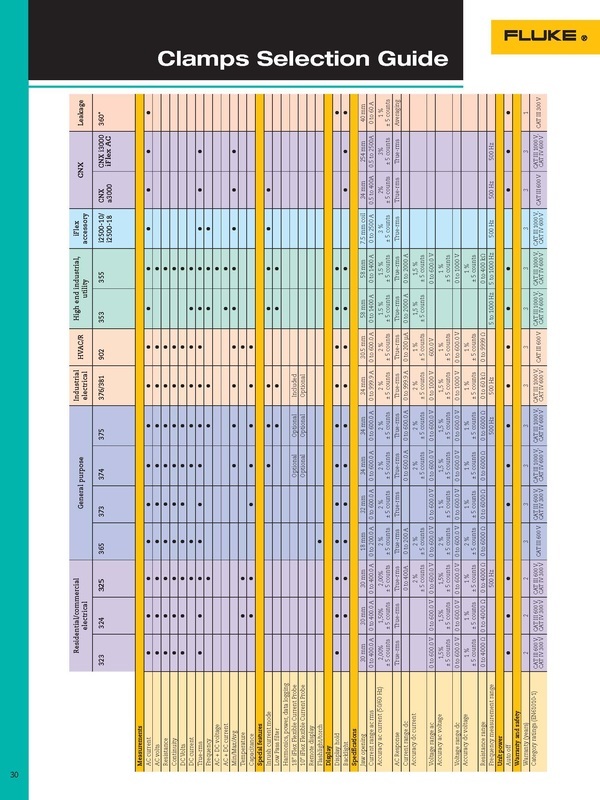 To ensure a reliable connection to earth, electrical codes, engineering standards, and local standards often specify a minimum impedance for the ground electrode. The International Electrical Testing Association specifies ground electrode testing every three years for a system in good condition with average up-time requirements. 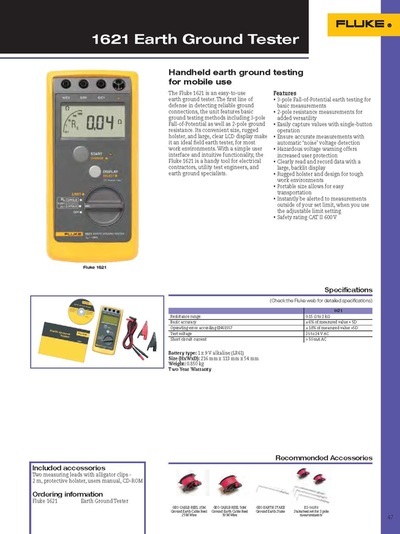 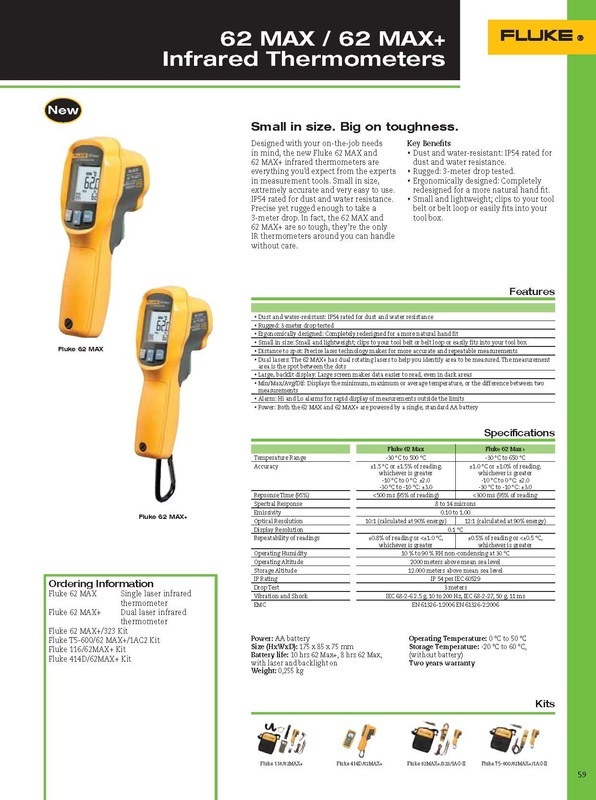 Fluke earth ground testers provide quick, accurate impedance measurements through several test methods: 3- and 4-pole Fall-of-Potential testing, selective testing, stakeless testing and 2-pole testing. Temperature and humidity are the foundation of indoor air quality (IAQ). We rely on HVAC equipment to maintain acceptable temperature, humidity and ventilation levels for occupant health and comfort, and, now more than ever, to help regulate building health and manage increasing energy costs. 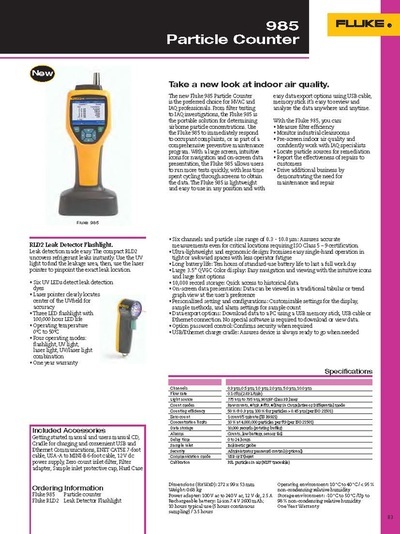 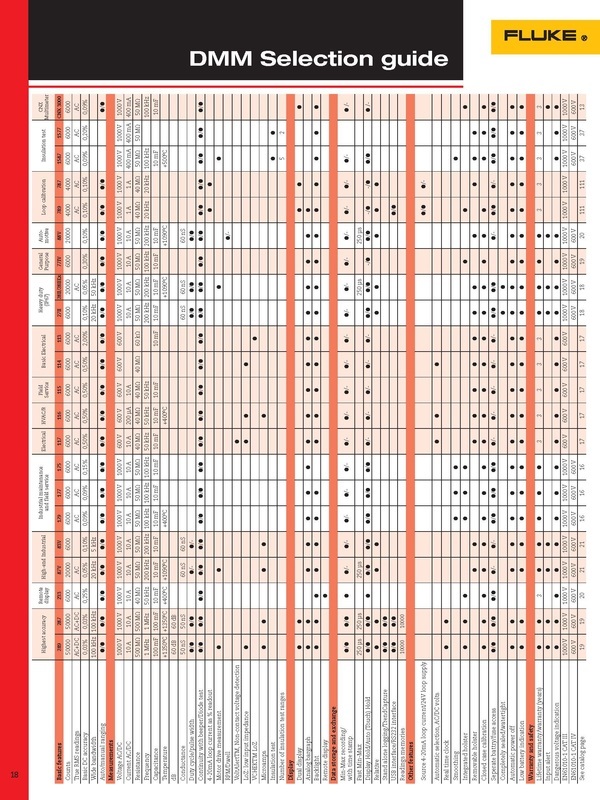 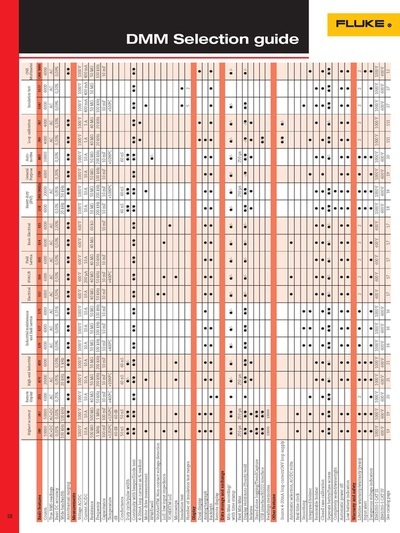 The relationship between HVAC equipment, occupied space requirements, building materials, weather conditions and pressure differentials is an ever-changing dynamic process for indoor air diagnostics (IAD).